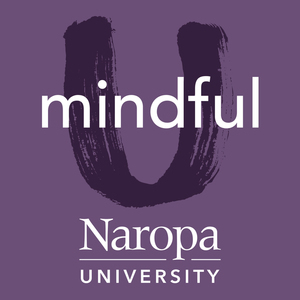 We found 6 episodes of Mindful U at Naropa University with the tag “compassion”. Marlow Brooks teaches a class about the human predicament of being very diverse and celebrating differences. For instance, a fire-type person likes to be out in the sun, likes heat, likes passion. Hot, firey people want to lead. They have great senses of humor, and great heart, but they are prone to burning themselves out. Consider a water type person - a personality like winter, being in the depths under the ground, or like a ball on the ground, gathering potency, gathering wisdom. For them to go into situations with loads of fire might feel extremely threatening. Many people that show a propensity for water think they are depressed, or that they are too serious. This class is about learning to accept yourself and then learning to accept the differences in others. Every organism really has different ways of coming into its own. The compassionate approach is to give that organism the type of elemental energy that will nurture them into the person that they will, or that they could, become. A person has the right answer for themselves, and to express and ask for their needs to be met. It may not look like the answer that, ideally as a therapist, I might think would be best for them. But they have their own answers within, and every time we can be a conduit or a guide to helping them understand what their internal answers are and to actualize them, that's the gift we have to offer people. At Naropa, the notion of contemplative education is one of drawing out the full richness of the student. In this episode of "Mindful U," Professor Richard C. Brown, core faculty in the Contemplative Education grogram, discusses what "contemplative teaching" is, and gives an example of techniques that work well for integrating it into ordinary classroom situations.